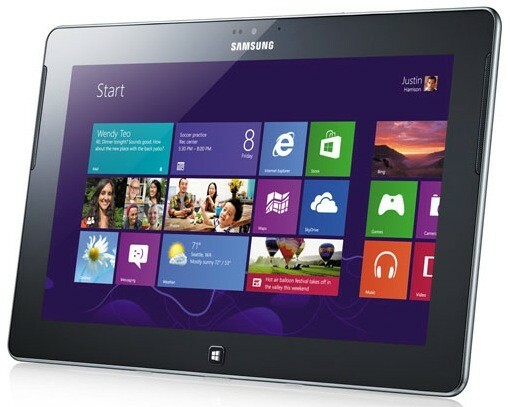 Samsung rebrand all Windows devices ATIV, while the Galaxy S4 screen gets reviewed by the experts! Samsung have been pretty busy lately; they've been churning out phones left, right and centre, they're supposedly working on a water and dust proof version of the Galaxy S4, some tablets and an S4 Mini, but somewhere in that busy schedule the guys from South Korea have also crammed in a little rebrand for their devices which run Windows software. 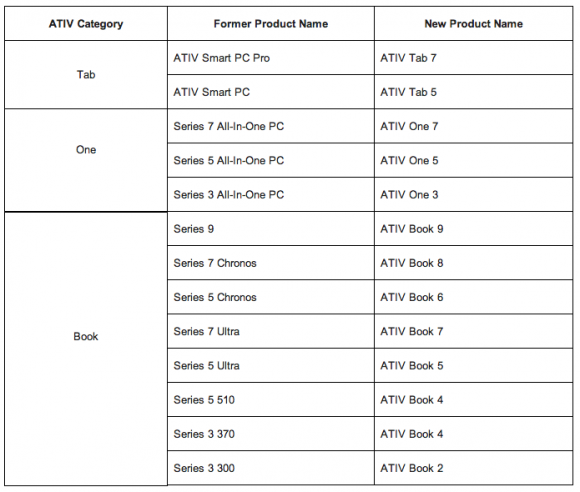 Basically, it seems as though someone at Samsung turned round and said that their naming convention for laptops, tablets and Windows powered smartphones was all a little to complicated and arguably that was true. So the way Samsung has decided to overcome that problem is to rebrand the lot! The way they've chosen to do this has been laid out below and it's relatively straight forward, although the numbers could get really quite confusing in future, but then they are quite a challenge at the moment! While we're on the topic of changes, it seems that Samsung and their AMOLED displays are getting a lot better these days! According the guys over at DisplayMate the Galaxy S4 now matches the quality of Apple's LCD display on the iPhone 5 in the scoring stakes, with both screens given A ratings. to the last-generation Galaxy S3 and Apple's flagship iPhone 5 handset, and states that Samsung's latest screen matches the quality of Apple's retina LCD. "The first notable OLED Smartphone, the Google Nexus One, came in decidedly last place in our 2010 Smartphone Display Shoot-Out. In a span of just three years OLED display technology is now challenging the performance of the best LCDs." That's really quite impressive progress over such a short period of time and, while the screen was said to be a tad over saturated in its default mode, as well as having some troubles with green colours, but DisplayMate feel that, "If this keeps up then OLEDs may pull ahead of LCDs in brightness and power efficiency in the near future." You can read the full report over at DisplayMate here! It looks like the LCD vs. AMOLED war is here to stay for a bit longer yet! Which do you prefer? Let us know in the comments below! Via BusinessWire, Slashgear and ExpertReviews.